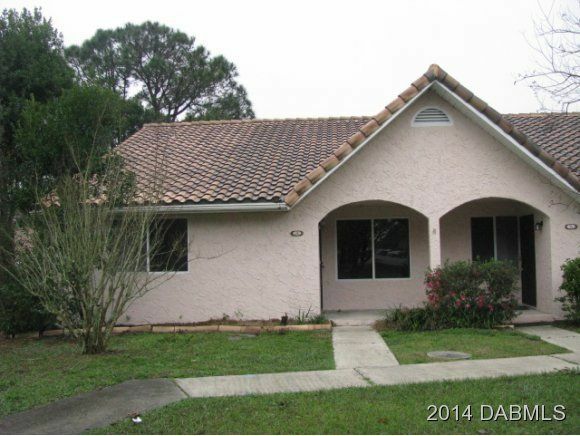 Bank Owned Port Orange 2 bedroom 2 bath townhome. This property has an optional 3rd bedroom that can be used as an office or den. Large oversized bedrooms with lots of closet space. Open floor plan with tiled flooring. Spacious screened in Florida-room with side by side laundry in unit. New HVAC system and paint. Community pool, close to shopping, schools and hospitals. Wont last long. Easy to show.